Canon's LASER CLASS 720i Facsimile System is the perfect choice when your business requires standard Internet faxing, PC faxing, Super G3 faxing, local and network printing and scanning capabilities for those lower volume environments. Like the LASER CLASS 730i, the LASER CLASS 720i is capable of Internet Faxing. Internet enabled fax machines along with Canon's push scan technology allow the user to convert scanned documents into file formats that are easily transported over the internet or the company intranet, sending data to E-mail address destinations, network or host folders and files, document management systems, or other I-fax-capable machines. Internet Faxing bypasses the public switched telephone network, and offers many advantages, including virtually eliminating phone line charges, the simultaneous and instantaneous distribution of information, maintaining document and image quality, and increasing the productivity of any business. In addition, the LASER CLASS 720i has a scanning width of 8.4", a standard memory of up to 510 pages (8MB) with the upgrade potential of up to 1,500 pages (40MB), and a standard 350-sheet paper capacity with the option to upgrade to a maximum paper capacity of up to 1,100 sheets. Internet Fax! The LASER CLASS 720i ships standard with Internet fax, no additional software needed! 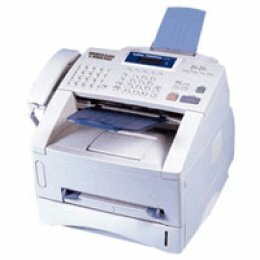 This enables the user to fax documents three different ways: I-Fax to I-Fax, I-Fax to PC, and PC to I-Fax. It is easy to use, extremely flexible and fast, and it will lower costs by virtually eliminating many of the phone line charges. High Volume Paper Capacities. The LASER CLASS 720i comes standard with a paper supply of 350 sheets: one 250-sheet front-loading adjustable cassette and a 100-sheet multi-purpose tray. There is an optional 250-sheet adjustable cassette and an additional 500-sheet letter-sized cassette. Memory: The LASER CLASS 720i comes standard with a memory of up to 510 pages (8MB), with the option to upgrade to 40MB.